Protip: If you're ready for a bootcamp. Break ups aren’t fun. In fact they’re usually pretty painful. You may want to get over your ex, you may have even tried a bunch of different methods, yet none of them worked. You found yourself online at 3 in the morning analysing their latest instagram photo trying to decide if that guy in the photo is just a friend or if she’s moved on. I’ve been through it time and time again and I know how painful it is and I know how frustrating it feels to want to move on. Over the years I’ve come up with a 7 step action plan that I used and I believe you can use as well to help you get over your ex. Step #4: Make a plan. This is huge. You’ll never move on, you’ll never even attempt to look forward if your mind is looking back. Should have, would have, are the terms that usually cycle through your mind when you’re still in denial. Get rid of them. Instead just come to terms with what just happened and accept the fact that it’s 100% over, and that we are going to continue marching forward. No it isn’t childish. This is about you moving forward. The last thing you need is to scroll down your news feed or browse your social media and see a photo that’s just going to trigger emotions, thoughts, curiosity and even encourage your to contact her again. You aren’t meant to be buddies with her right now, you’re not ready for that just yet. If you want to get over her, stop stalking her, simple. A vital key to the recovery that most people completely skip over. Instead they go out and drink, party, run around doing errands etc keeping themselves completely occupied so that they don’t have to face the facts. Stay home for a day or two, or get a hut out in the forest just so you can be with your own thoughts. When you spend time alone you are able to really just clear your mind of what just happened. It makes it easier to fully accept. Probably, and there’s no shame in that. You’ve got time alone to unwind, use it however you feel it’ll benefit you. Ok, alone time’s up. Now we have to move forward. Sit down and make a full plan of goals and actions steps that you’re going to take. Set a goal for each of these areas in your life that you would like to reach over the next 3-4 months, and then write down what needs to happen every single day for you to get there. Some people make their biggest breakthroughs just after a break up! Plans fail because most people like to write them down, forget about them after a week, go back to the old life. This time, you’re going to get an accountability buddy. An accountability buddy is someone who you will report to daily or weekly with your tasks and results so that they can make sure you’re doing what you set out to do. If you fail to do a task or you miss a day? You will pay that person 5$ – 10$ per day you miss. If that’s not enough money to motivate you? Pay them more. As much as you don’t want to, and as much as you miss the comfort of your bed, go out and socialize. You’ve been stagnant for far too long and what you are now missing in your life is momentum. Social momentum is a huge factor to your recovery, and it will get you there in less than a tenth of the time compared to you sitting at home and sulking. 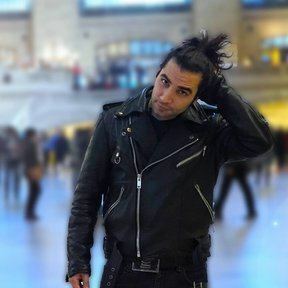 You need to go out and meet as many girls as you possibly can right now. Your ex might have been great, but there are girls out there who are just as good if not even better than her (let’s not lie there are tons of girls who are FAR better than her, but we like to lie to ourselves). You may have tried one sushi restaurant, but if it shuts down, it doesn’t mean you will give up sushi for life. You will go and try out the rest of the restaurants in your city, compare them until you find an even better sushi place than the first one you had. It’s much easier to get over an ex when you are dating other girls and exploring what else there is out there. Question: How Long Will It Take Me? 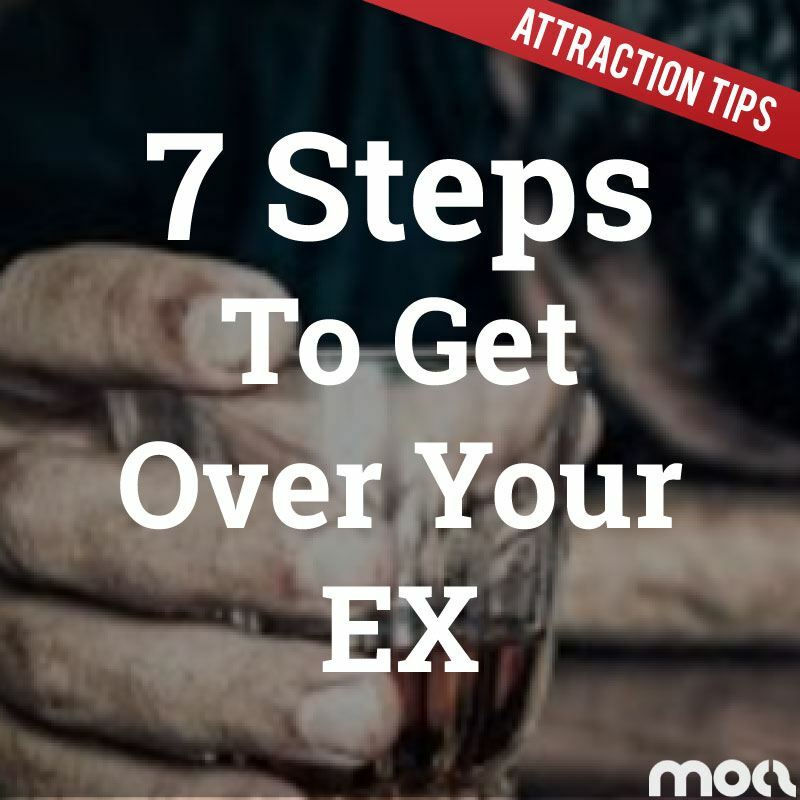 It might take you a week, it might take you a month, it could even take you a year depending on how much you cared for her, but one thing’s for sure if you follow these 7 steps you will get over your ex and you’ll be a lot happier than when you started. There’s a good reason why we are one of the world’s leading dating companies out there for men. There’s a reason why students on board our program get results like this (click on the link). We teach ordinary guys to get out of their shell and date women they could only dream of. The fastest way to get over a break up while still doing all these 7 steps is by spending an entire weekend training with myself and the ministry of attraction team.